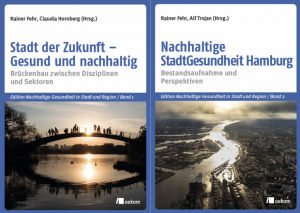 The research program “City of the Future – Healthy, Sustainable Metropolises” is funded by the Fritz and Hildegard Berg-Foundation within the German Foundation Center (Essen). basic information on the Goals, Funding and Advisory Council of the research program as well as on the associated Conference Series “City of the Future”. In addition, the Research Groups and Projects of young scientists which were/are funded previously or currently and also the Project “Urban Development and Health – Building Bridges across Disciplines and Sectors” are presented here.